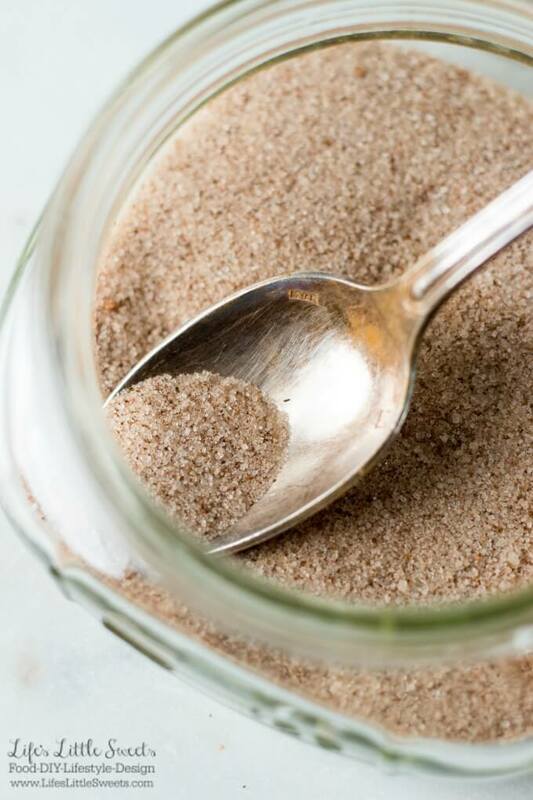 Cinnamon Sugar Mixture is a sugar spice mix that you can have on hand to top toast, ice cream and other foods. It’s also an ingredient in Perfect Snickerdoodle Cookies and Simple Homemade Cinnamon Rolls. Keep it in a mason jar in your pantry to have on hand for when you need it! 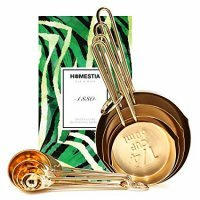 It also goes great sprinkled on pancakes, ice cream, baked desserts and other foods. There are two desserts that comes to mind where this Cinnamon Sugar Mixture is a major component: Perfect Snickerdoodle Cookies and Banana Cinnamon Sugar Dumplings. 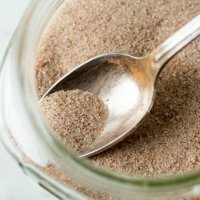 Cinnamon Sugar Mixture is just a winning combination, when added to a baked breakfast/dessert, your house smells amazing. A case in point is Simple Homemade Cinnamon Rolls. Another option is when you are making truffles, like in this recipe Mocha Cinnamon Truffles. You can double and triple this recipe to make a larger amount, if needed. You can also adjust this recipe to your tastes, if you prefer there to be more sugar than cinnamon or vice versa, then you can! ?I recommend this organic Saigon cinnamon (it’s so fragrant!) and this organic granulated sugar for this recipe. 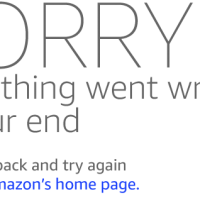 I added these ingredients to the “Dry Ingredients” section of my Amazon aStore. 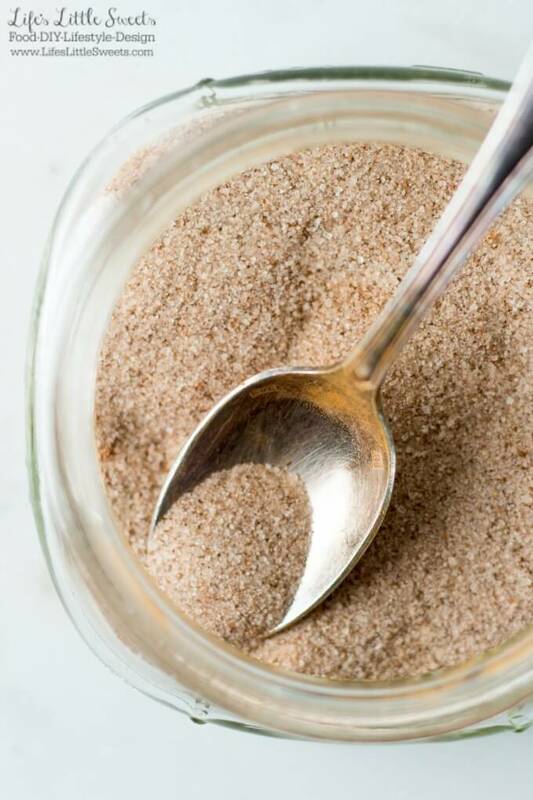 Cinnamon Sugar Mixture is a sugar spice mix that you can have on hand to top toast, ice cream and other foods. It's also an ingredient in Perfect Snickerdoodle Cookies and Simple Homemade Cinnamon Rolls. Keep it in a mason jar in your pantry to have on hand for when you need it! 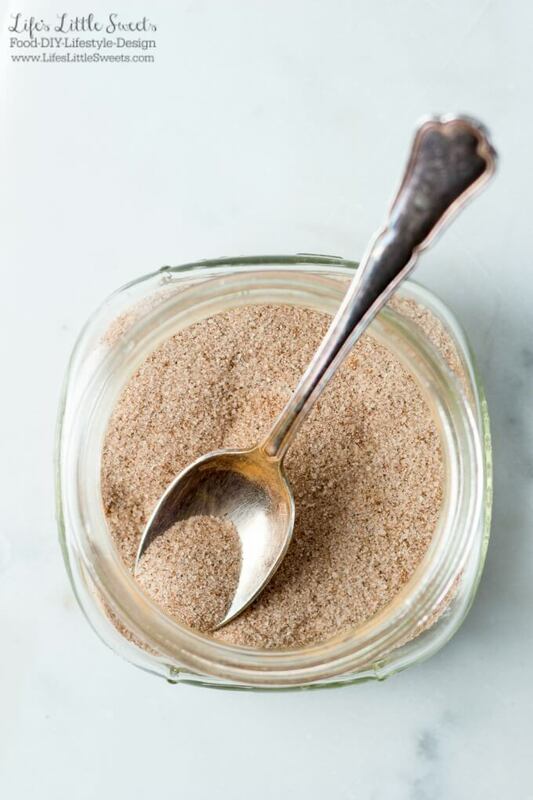 Measure the cinnamon and sugar and mix in a mason jar or other airtight container. Enjoy!